This time of year is just so much fun! Everyone is so cheerful and friendly. My kids are so excited about the Thanksgiving Break (AND so am I) and spending time with their families. 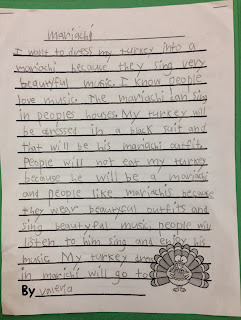 It is so fascinating to hear my kiddos talk about how they celebrate Thanksgiving. Many of their retellings sound so much like the traditional Thanksgiving day portrayed in ads and books, but many of them, their families have made it into their own unique tradition that includes cultural food and music. With Common Core such a BIG push in our district, it is wonderful to know that there are so many engaging and motivational activities that kiddos can enjoy doing while still meeting CC rigor. I love the rigor. It drives me and pushes me to become a better teacher. Sometimes I tend to be too academically driven. I know it has to do with the fact that for my kiddos, just as it was for me, education is the vehicle that opens up many doors and gives us the opportunity to create our own success story. Therefore, the challenge for me is to create a balance in class. Okay, off my soapbox. 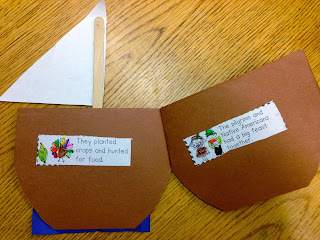 We have been very busy reading informational texts about the first Thanksgiving and Squanto. 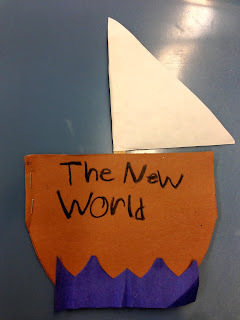 These are perfect for factual information, timelines, and text-dependent questions. I know these are both fictional, but who doesn't love cool art and Pete the Cat. 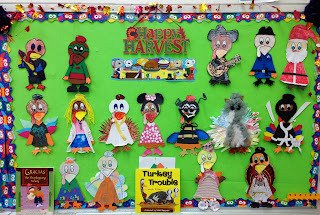 We used it to compare and contrast the many different ways people celebrate Thanksgiving. If your kiddos love Pete the Cat as much as mine, they will L.O.V.E. Pete the Cat-The First Thanksgiving. It is very simple to follow and provides enough information in a very student-friendly format. The kids love the flaps. At the very end, they all say what they are thankful for. This was a perfect segue into our circle map. Their responses were more about family and special items, than about material things-they're so cute! We also used this version of Pete the Cat to make cute little boats and placing the events of the 1st Thanksgiving in order using Sarah's Read & Sequence Mega Pack. The pack comes with many seasonal themes. My kiddos love reading them and placing the strips in order. The kids can check their work in partners. This leads to great discussions in which they have to back up their thinking. Did I hear any one say Common Core? 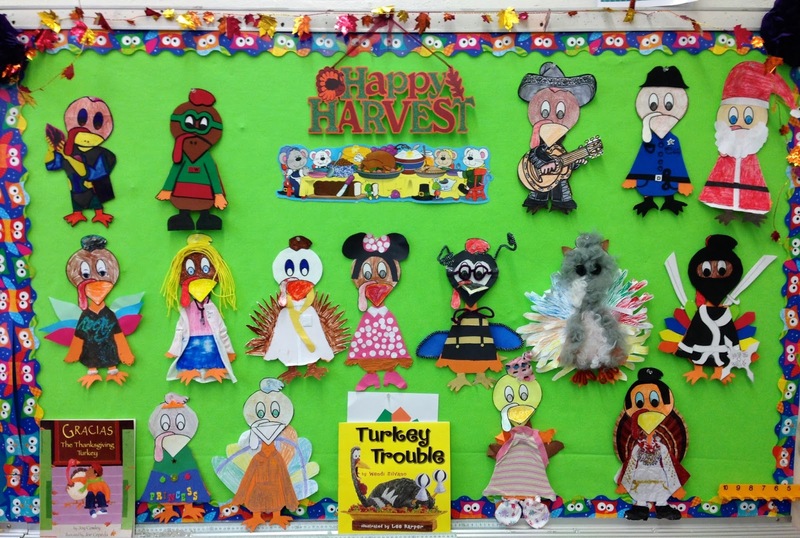 One of my kiddos favorite story this year was Gracias- The Thanksgiving Story. In this warm holiday story, a young Puerto Rican boy saves the life of his pet turkey with help from his close-knit New York City family and neighborhood. My kids were very touched. I will warn you though, one of my parents said her son is now refusing to eat turkey for Thanksgiving. 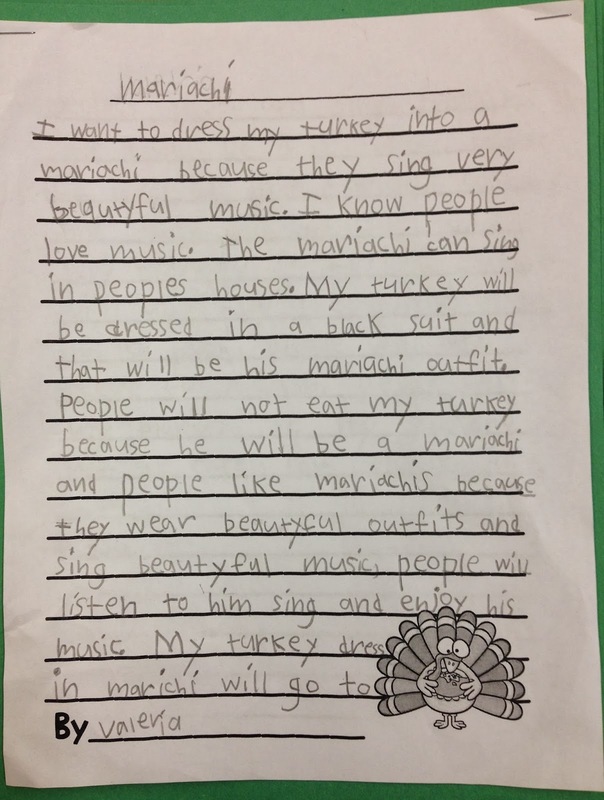 In this story, Turkey finds himself in a bad predicament as you can guess. After many hilarious attempts at disguising himself, he finally finds the perfect disguise. We then decided to make some signs for our turkey friends in the hope they might survive this holiday season. They had to provide an alternate food item that would be more appealing. Another vary popular activity out there is the turkey in disguise. There are so many versions and spinoffs of this floating around on Pinterest. This year's firsties really did extraordinary work. They came out so cute. Because they have so many opportunities to write, beyond writer's workshop, I have seen such growth in their writing pieces. Well, you know we have to do math (I love math), so why not have some math that is super yummy, engaging, and fun. Many of my kids had never tried pumpkin pie, therefore this was a very appropriate question to pose. They each got to taste a piece of pie. 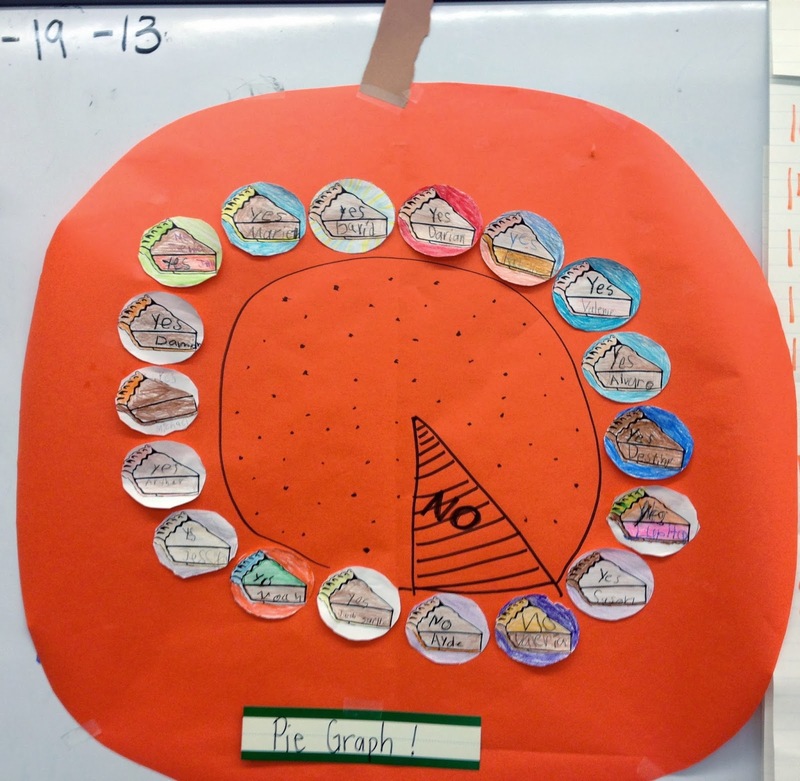 First we did a picture graph and then transferred the data to a pie graph. 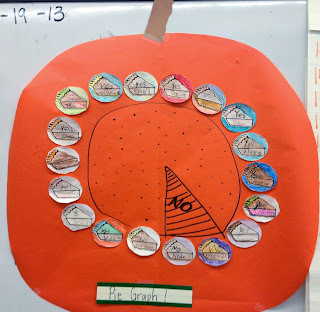 This was their first encounter with a pie graph and they got it! It is amazing how exhausting it can be to make learning so much fun!